Because your septic system is a crucial element of the function of your home, you need to be sure that it is always in great condition. Working with our team of trained professionals, you will have the added peace of mind in knowing that we have all of the training, equipment, and experience to get your septic repairs done for you in a timely fashion. Each component of your septic system is crucial, and everything has to work in unison in order for you to get the most out of it. If you are planning on building a brand new home, you can feel confident while letting us help you throughout the entire building and septic system permitting process. For any septic system to work the way that you want it to, you have to think about regular pumping and maintenance. However, there can always be times when you need to have certain elements repaired or replaced. If you have a much older septic tank system that has been through better days, you will need to think about finding out more about what you can do to have a full system replacement. Once you feel as though there is something that might be going wrong with the septic system, it is imperative that you have a professional team that you can count on that will come out to your location to do a full walk-through an estimate. When you work with us, you will be getting the help of professionals who are completely licensed and insured. We are here to offer you the knowledge we have, as well as the best methods, equipment, and innovation for environmentally friendly septic tank system installments and replacements. We have all of the latest technology, equipment, and the experience to get the job done right for you the first time around. Should you have any questions, we will also be glad to address them as soon as possible. 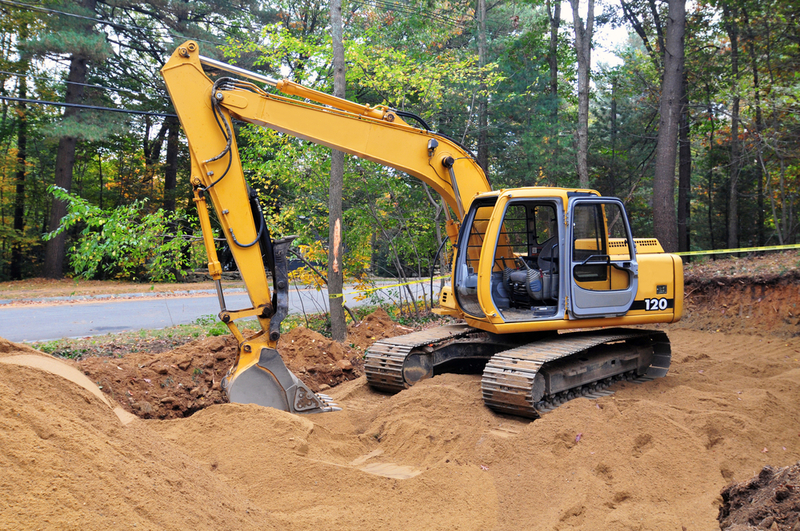 To understand site work and why it is so important, this is the portion of a construction project that takes care of the digging, grading and the construction process for the building of or replacement of a septic tank system. For home buyers everywhere, the investment in a new home is one of the most substantial purchases of their entire lifetime. We understand how big of a deal this is, so we never take any aspect of your buying process lightly. Using a general contractor helps to save you both time and hassle. Instead of trying to take care of the hiring of subcontractors on your own, we have the ability to do everything. In many situations, we can save our customers a great deal of money at the same time by getting better prices on both labor and materials. If your septic system is not in good working condition, it will throw the entire process of balance and could lead to a full system failure. If you have any sort of leakage, you may need to think of having repairs done or a replacement so that you are not subject to a backup into your home. If you have noticed that there is standing water beginning to develop above your drain field or you have detected terrible odors coming from your backyard, there could be a much larger problem that should be addressed. Whenever there is a situation that involves your toilets running slower than normal or your drains are having troubles, there could be a backup that is looming. Schleg Valley Construction will be happy to come out to your location to perform an inspection of the septic system that you currently have in place. From there, we will be able to make a better determination as to whether or not you should have the system replaced. If you are wondering about the costs that will be involved in your sewer installation, you need to know that no two installations are going to be the same. Not only are property layouts different, but the manner in which the connection to the home takes place can be very different. When you hire us, you will be getting the absolute best when it comes to repairing and replacement of any lines or parts associated with your sewer system. We fully understand that you are not able to spend a great deal of time just waiting around for the repairs that you need, so we will be sure to get out to your location as soon as possible. Schleg Valley Construction is fully trained and ready to address any of the septic system pump repair needs that you may have. We have all of the latest technology and we can send out a technician as soon as possible to get you the repair you are looking for. Depending on the design of your landscaping or the location of the bathroom plumbing in your home, your septic system might also include a septic pump. This is a pump that works to make sure that the waste moves efficiently from your drains and plumbing to make its way out to the septic tank. A break in your sewer pipe can quickly turn into a messy situation that is both costly and can be a hazard to your health and that of any other people or pets living in your home. You never want to ignore this, as the cost for an emergency call is usually a lot higher than catching the issue before it turns catastrophic.